Create your own meditative calm-scales by precisely controlling the breeze with its 26 speed levels. The five-blade Calma has a breeze mode that lets you create the smooth altering movement of the natural breeze. Its hyper-efficient BLDC motor makes it whiter-quiet to add to your tranquility. Control the wind speed of your fan precisely with its unique 26 speed levels. Choose the level of calmness you desire easily with its ergonomically designed remote. Specially designed five blades are crafted with care to spread air consistently all around the space and surroundings. Five blades make the air flow more smoothly and quietly to create a more pleasing environment, operating at 57 Dolby. The fan operates at just 57 Dolby to keep your experience pleasant. The technologically advanced BLDC motor makes the fan whisper quiet, reducing ambient noise in your treasured space. The informative easy to read display and switches off illumination itself a few seconds after operation, to remove inconvenience and distraction during the night. An ergonomic central dial makes the fan easy to use. Allows you to adjust the height level of the fan, to direct air level at the desired elevation. 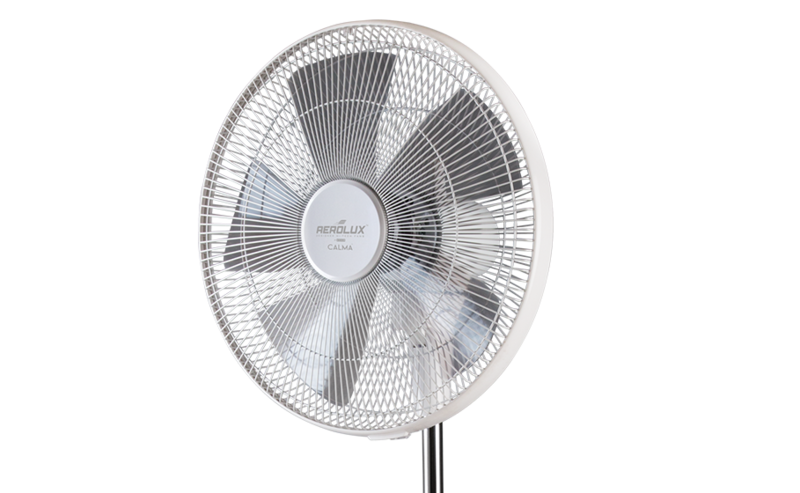 Control the various elements of the fan, including multiple speed levels with ease from a comfortable distance. The intuitive mechanism reads the room temperature and automatically lower and increases the fan speed when it senses a drop or rise in the room temperature. Use it along with you AC for more efficient use, leading to energy saving. Set auro switched-off time too ave energy int he night while you are sleeping.